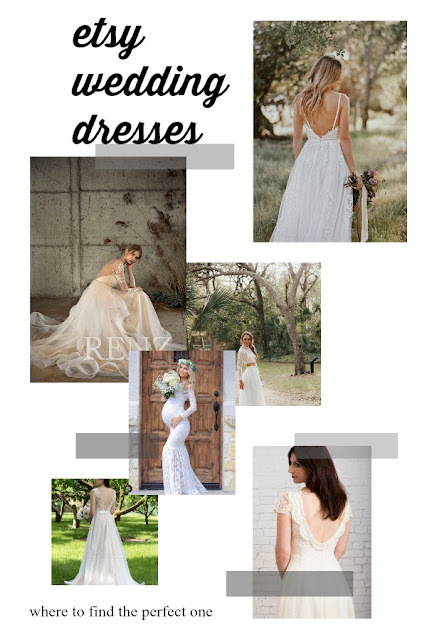 You can approach being a bride a million different ways, but no matter what unconventional paths they take, many women do want to look like a bride. 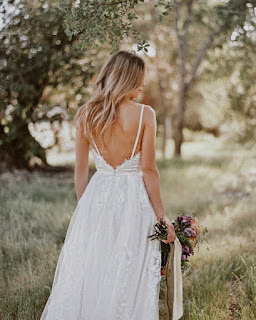 Not everyone chooses the white dress (I have seen some gorgeous all white pantsuits lately and we have all seen the colored dresses), but for those who are looking for a traditional dress, you still don't have to take the traditional route to getting it. 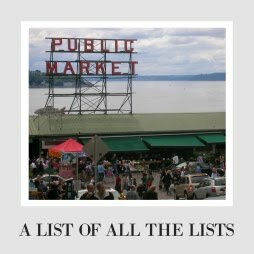 When I got married, I took the completely basic path to buying my dress, and though my dress was pretty, I regret not checking out more unique avenues like Etsy or buying consignment. 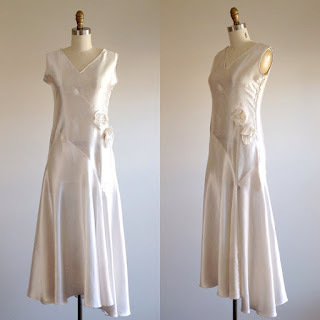 Etsy stores have gorgeous dresses, often for less money, and they are so unique. Added bonus, they travel shorter distances and support American makers and seamstresses! There are so many pretty options, but I picked some favorites. ACherieCouture (San Antonio) makes gorgeous art deco and beaded dresses. 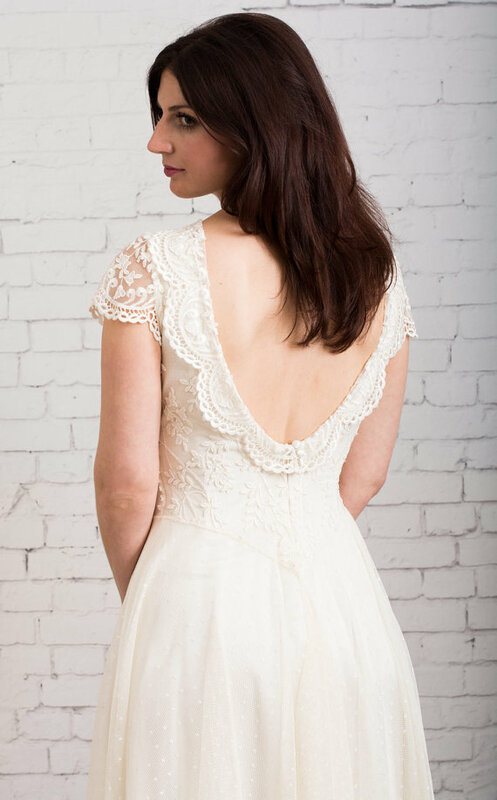 They also have a whole system where they will design your dress with you from scratch. It looks perfect for brides who have a specific vision but can't find it everywhere. 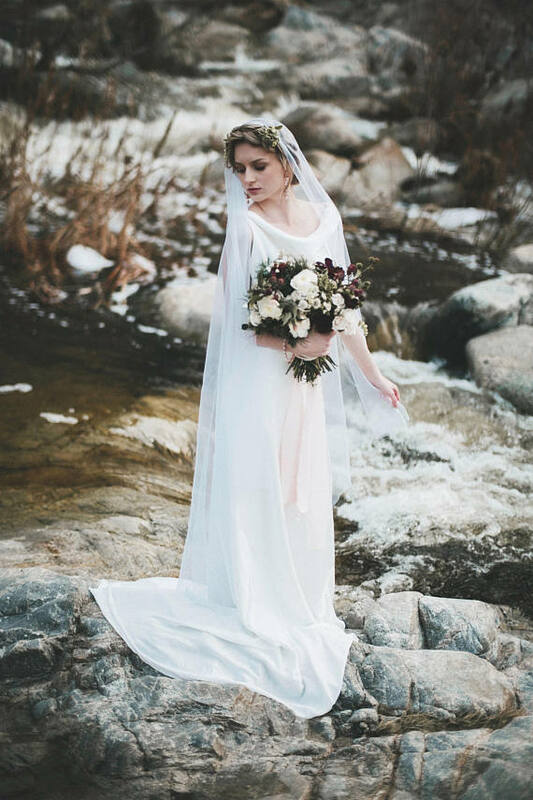 ELDesign Studio (Washington) sells traditional wedding looks with pretty details and thoughtful cuts. They look so flattering. 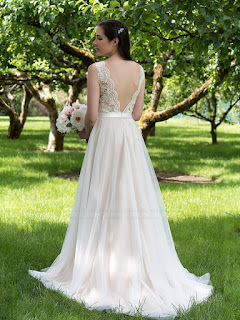 LTCoutureAtelier (Portland, Maine) sells all sorts of dresses, but I think this dress really sells the two piece wedding dress to me. She looks gorgeous and if your stomach is your favorite body part, show it off! 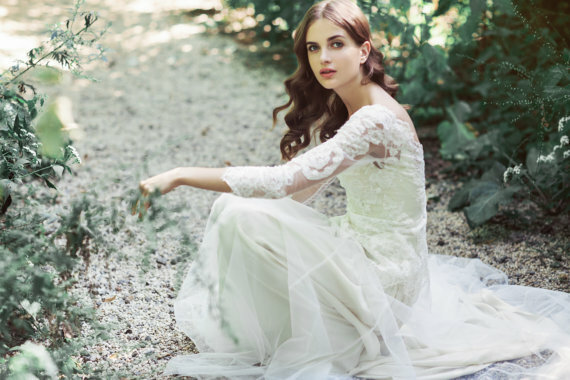 The Ivy Retreat (Austin, Texas) sells vintage wedding dresses. I love these because it is so green, but also so memorable. Almost every wedding I have been to, the dress looks basically the same. Lots of their options feel classic and original at once. MartinMcReaCouture (Tuscon, Arizona) makes dresses that remind me of Jane Austen and a garden picnic. They would fit in at a more casual wedding, but their empire waists and lacy details make them seem period too. Really cool. 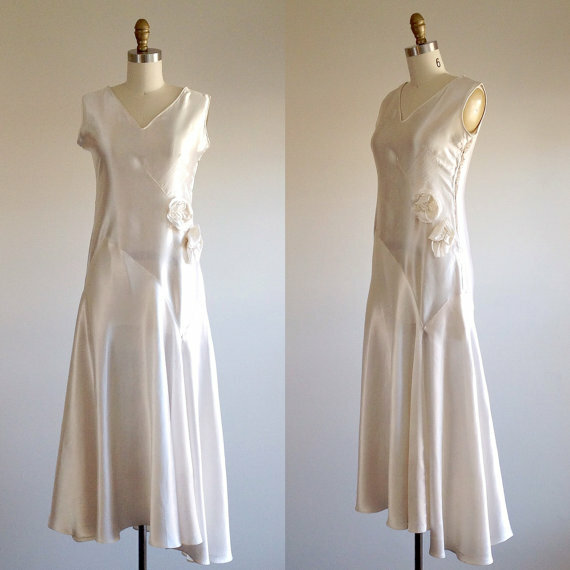 FrenchKnotCouture (Seattle, Washington) makes dresses out of some unconventional materials, and the dresses are a little more subtle. I am obsessed with this one. Someone get married in January and wear this dress. Renz Bridal is based out of San Diego and might be one of the best ways to outfit a bride or bridesmaids. It also has really reasonable prices (even on the cheap end) and stellar reviews, so check it out. 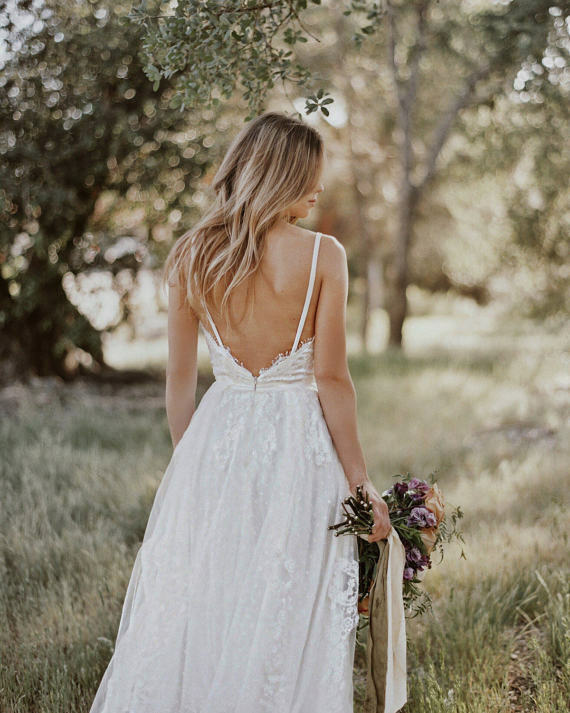 floraandlane in Chicago makes bohemian dresses that looks dreamy and delicate. 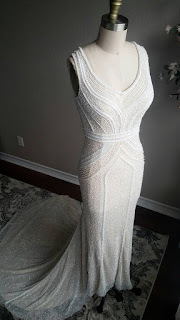 BoutiquebyAgnes offers a ridiculously gorgeous and unapologetic dress for a pregnant bride if that is your deal. Too good not to include. Want more Green Wedding goodness? We have SO MANY ideas here of how to make your special day kinder to the environment and that much more original. 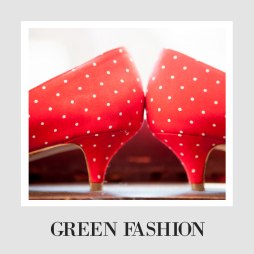 Check out the Green Wedding Page for more ideas.